True Expression Photography Blog: Darlene & Jon: Sneak Peek! Yesterday, I met up with my contest winners Darlene and Jon for their engagement session. 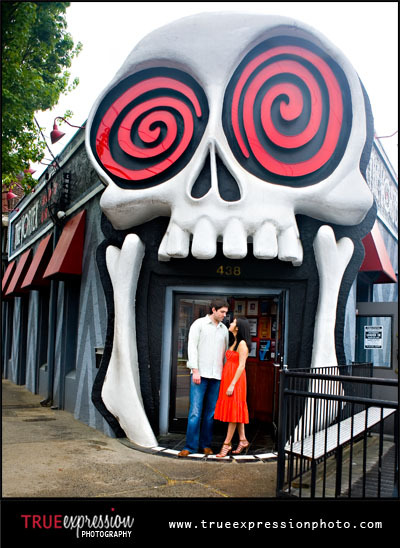 We had so much fun shooting all around Atlanta at some of their favorite spots. Even when it started raining towards the end, it didn't stop Darlene and Jon from looking fabulous! Here's a little sneak peek of their session. The slideshow and full post is coming soon! I love that last one....what is that place?